It may look familiar to you, but trust us, it has a whole new look! This set features unique character inspired designs from the original three Star Wars movies. These characters appear on the Party Circles in the Star Wars Birthday Party Printables set. Our party circles are compatible with the AVERY 2” Round Labels sheets if you prefer to print them and use them as stickers! We also have fun Party Circles that you can include you special birthday details on. Also new to this collection is the edition of a Jedi Training Certificate, which your young Jedi guests will enjoy receiving after completing their “training” at your party! Award them with both the certificate and the medal as a great party favor they can frame and admire. 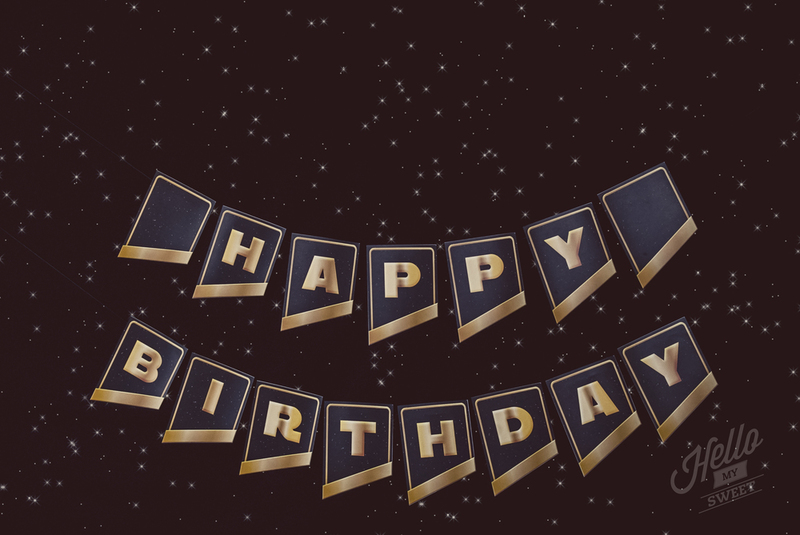 We have revamped the Star Wars birthday banner to be a shape that is easier to cut out and we also updated the gold coloring on the entire set to a more classic retro feel instead of the brighter yellow we had before. Even the star field background across the entire collection got an upgrade. Perhaps the boldest change in the collection is the new design of the invitation. While we liked the whole “text moving through space” effect we used to have, we felt it was really difficult to read and we just weren’t able to perfect it to a level we were happy with. So, we came up with something new! The correspondence set includes a Star Wars Birthday Party Invitation, Thank You and Envelope Wraps. Doesn’t that collection just scream Star Wars? We think so and we hope you will indulge us!